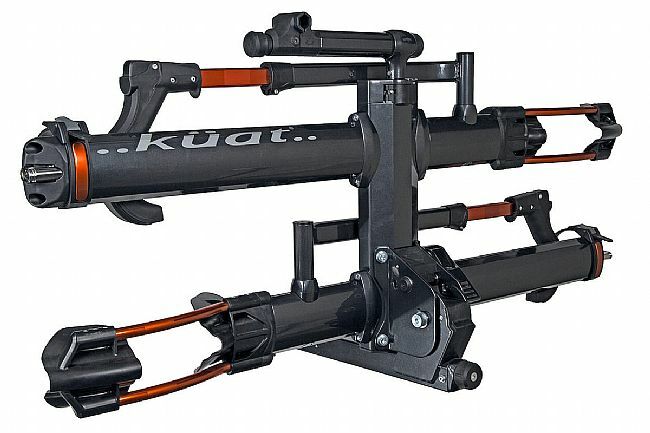 The Kuat NV 2.0 Bike Hitch Rack is the culmination of years of feedback from the original NV, resulting in a redesigned rack that works and looks better than ever before. 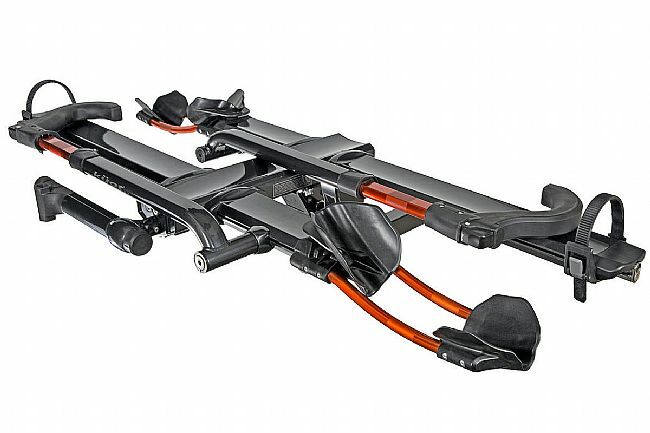 A new pivot system includes a foot-operated lever to fold down the rack, and adjustability is improved with 3-position front wheel cradles for getting adequate clearance between handlebars and saddles. The NV 2.0 can handle tires up to 4.8" wide and the ratcheting arm is more intuitive to operate while providing increased stability. Individual locking cables allow each bike to be secured separately and a locking hitch ensures the rack stays put. Not just a gimmick, an integrated Trail Doc work stand allows for hassle-free maintenance at the trailhead or start line. It's seen a ground-up redevelopment to ensure it provides a pro-level feel, including a ratcheting clamp with a spring-loaded release to make it quicker and easier to get bikes in the stand. 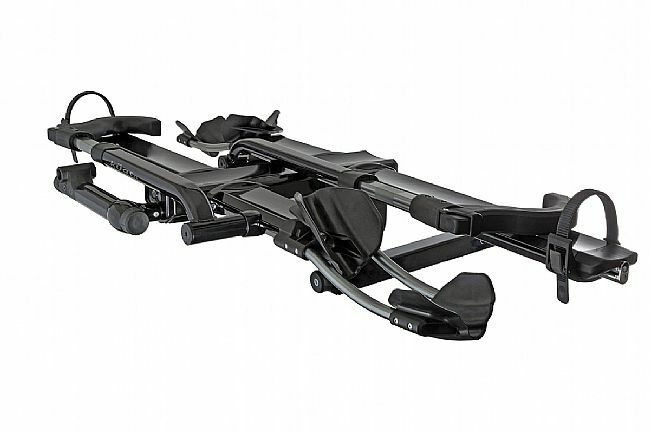 I had been looking at this bike rack for a while, and Bike Tires Direct had the best price out there. 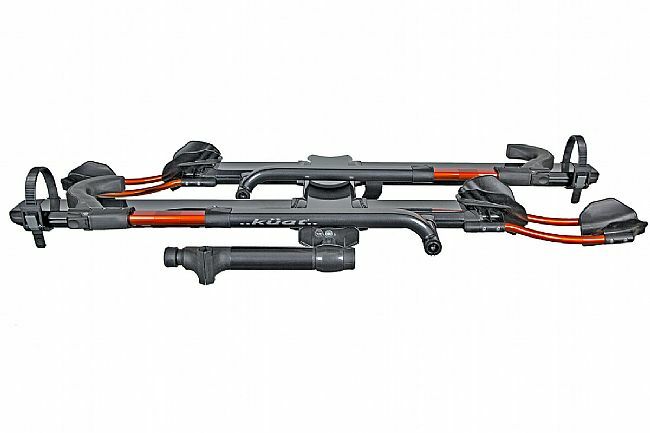 This really is the best quality, stability, and easy to use bike rack out there. 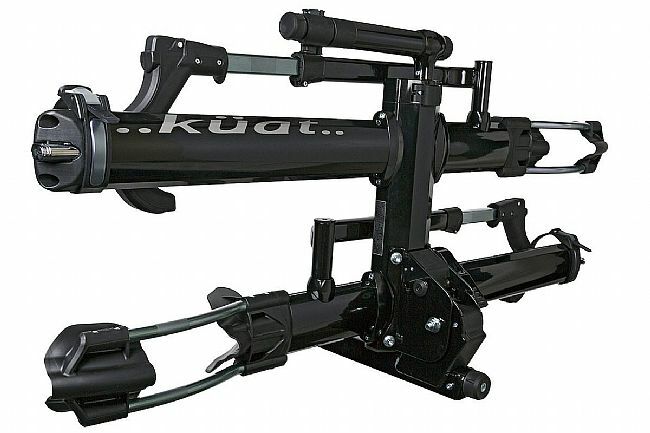 I plan on getting the add-on kit eventually, but I also love that Kuat makes it this way with a 2-bike rack and an add-on, so you can adjust depending on how many bikes you need to take. 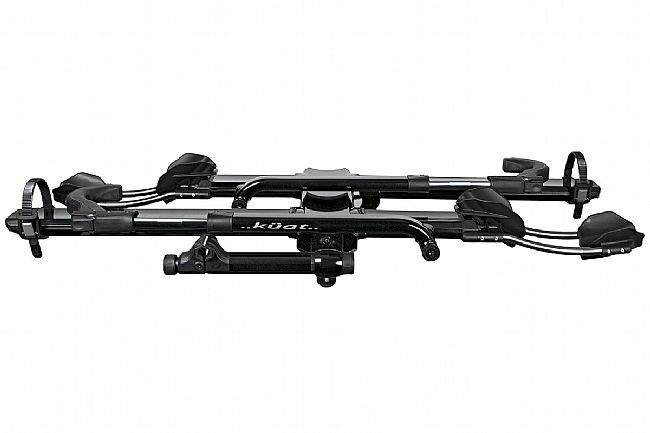 Pick the best rack to carry your bike on your car.